Waleed Zuaiter, Bertie Carvel, Clara Khoury, Leem Lubany, Neil Maskell and Corey Stoll join an international cast for Channel 4’s new six-part crime series, Baghdad Central, written and created by BAFTA-nominated writer Stephen Butchard (The Last Kingdom, House of Saddam) based on the novel by Elliott Colla. Production has begun in Morocco. October 2003 and Baghdad has been occupied by American forces for six months; but the disbandment of the Iraqi army, the police and civil leadership in the aftermath of the invasion means there is no one in charge and no effective rule of law. 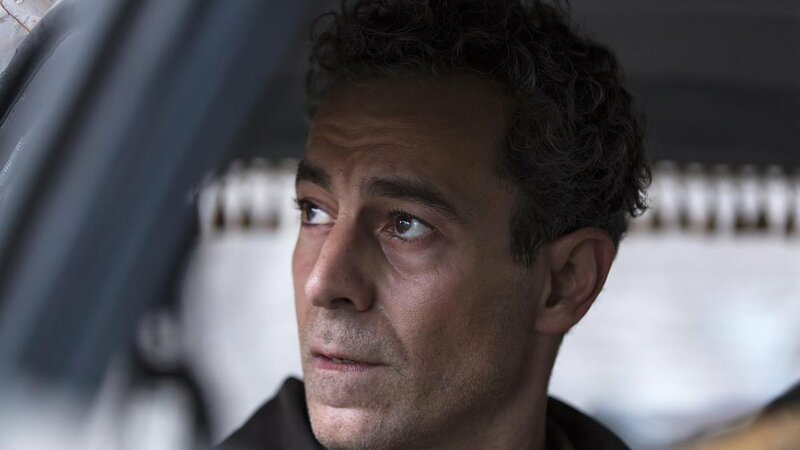 In the midst of this chaos, crime and paranoia, Iraqi ex-policeman Muhsin al-Khafaji (Waleed Zuaiter; Omar, Altered Carbon) has lost everything and is battling daily to keep himself and his sick daughter, Mrouj (July Namir ; Homeland, Collateral), safe. But when he learns that his estranged elder daughter Sawsan (Leem Lubany; Omar, Condor) is missing Khafaji is forced into a desperate search to find her. He soon finds himself up against her enigmatic university tutor, Professor Zubeida Rashid (Clara Khoury, Homeland) and discovers that Sawsan and her two close friends Sanaa (Nora El Koussour; Layla M) and Zahra ( Maisa Abd Elhadi; Tel Aviv on Fire, The State) have been leading a hidden life that’s led them into great danger. Khafaji feels powerless until he meets Frank Temple, an ex Police Officer played by double Olivier Award-winner Bertie Carvel (Dr Foster, Jonathan Strange and Dr Norrell) who has arrived from Britain on a mission to rebuild the Iraqi Police Force from the ground up. Temple recruits ex-cop Khafaji to give his operation some much-needed local credibility. But unbeknown to both Temple and his nemesis, upstanding American Military Police Captain John Parodi, played by Golden Globe-nominated Corey Stoll (House of Cards, First Man), Khafaji is compelled by his own, secret reasons to risk everything by collaborating with the occupying forces. Meanwhile a new threat represented by security op Douglas Evans (Neil Maskell; Humans, Utopia) provides a terrifying and sinister counterforce to his efforts. Khafaji quickly discovers that Sawsan’s disappearance is linked to the murder of an American employee and so entwines himself in that investigation to uncover the truth about what has happened to his daughter and her friends. But, as the addictive, thrilling world of Baghdad Central unfolds, he soon finds himself embarking on a wider quest for justice in a society that’s become truly lawless. Baghdad Central (6×60) was commissioned for Channel 4 by Beth Willis, Head of Drama with Commissioning Editor Manpreet Dosanjh and Commissioning Executive Jonny Richards. The series is produced by Euston Films (part of FremantleMedia UK). Executive Producers Kate Harwood, Stephen Butchard and Alice Troughton. Producer is Jonathan Curling (The Secret). FremantleMedia International will act as the global distributor for the series. Alice Troughton (Doctor Who, Tin Star, A Discovery of Witches) is lead director and BAFTA-nominated Ben A. Williams (Humans, The Pass) will direct the second block of filming. EXCLUSIVE: Luther creator Neil Cross has struck an exclusive overall deal with FremantleMedia. I hear that Cross, who has just finished the first season of BBC One and Hulu “pre-apocalyptic” crime drama Hard Sun with FremantleMedia-owned Euston Films, will be focused on producing series for U.S. and UK broadcasters. The multi-year deal will see Cross work with Euston Films, established by former BBC drama exec Kate Harwood, and FremantleMedia North America, overseen by scripted chief Dante Di Loreto. FremantleMedia International will distribute Cross-penned titles to the global market. It is the latest high-profile drama deal signed by the RTL-owned producer and distributor following a deal with American Gods creator Neil Gaiman (I understand it was signed before the Starz series lost showrunners Michael Green and Bryan Fuller). Cross’ Hard Sun is set to launch in the new year. The series stars Agyness Deyn as Detective Inspector Elaine Renko and Jim Sturgess Detective Chief Inspector Charlie Hicks. The show follows the pair as they investigate the death of a hacker in London before stumbling on proof that the world is ending in five years. He told Deadline that the deal came off the back of the big-budget series. “FremantleMedia trusted me to go ahead and make this strange thing,” he said. Cross previously created NBC’s John Malkovich-fronted drama Crossbones and had a two-year deal with Universal Pictures from 2012. “It’s incredibly challenging to make a TV show and if you do it right it can be a long relationship so you want to make sure you’re doing it with someone who is passionate. You want to be selective about those people you’re choosing to work with and lead them get on with their creative vision,” he said. Di Loreto said that the pair were already working on a couple of shows that it expects to reveal in early 2018. “Some projects are original works and some are adaptations but they all feature complex characters,” he added. The former Chernin Entertainment President of Television, who worked on series including Glee and American Horror Story, also opened up about FMNA’s drama drive. He added that it is adapting more Gaiman-penned works for the U.S. markets, while the English author and comic book writer is also understood to be adapting other people’s works for the small screen. BBC ONE announces that Sarah Phelps, who has most recently reimagined the Agatha Christie novels, is next turning her attention to the writing of Dublin’s leading crime novelist, Tana French, penning The Dublin Murders. Commissioned by Piers Wenger, Controller of BBC Drama, and Charlotte Moore, Controller of BBC Content for BBC ONE, The Dublin Murders is drawn from Tana French’s first two novels In the Woods and The Likeness. The eight-part series will be produced by Euston Films, Veritas Entertainment Group and Element Pictures. Kate Harwood, Euston Films Executive Producer said: “I’ve loved Tana’s books since I first read the very first one and bringing the passionate, vivid writing skills of Sarah Phelps to bear on the work of this new mistress of crime should deliver tense and authored psychological drama”. Brilliantly blending the two first books in the Dublin Murder Squad series Sarah Phelps reacts to the dark drama of the novels and delivers a contemporary world of psychological mystery and darkness with a tap root that is sunk deep in Ireland’s past. The Dublin Murders (8×60’) has been commissioned by Piers Wenger, Controller of BBC Drama, and Charlotte Moore, Director of BBC Content, and will be produced by Euston Films, Element Pictures and Veritas. The executive producers are Kate Harwood and Sarah Phelps for Euston Films, Alan Gasmer and Peter Jaysen for Veritas Entertainment Group, Ed Guiney for Element Pictures, and Elizabeth Kilgarriff for the BBC. Filming will start next year in Belfast and Dublin. Casting will be announced in due course and FremantleMedia International will handle the international distribution of The Dublin Murders. Tuesday 1st August 2017: Kate Harwood, Managing Director of Euston Films (part of FremantleMedia UK) has announced the appointment of Gordon Ronald to the role of Head of Production for Euston Films. Currently in production with Hard Sun for BBC One and in pre-production with Baghdad Central for Channel 4, Euston Films and Euston North (based in Manchester, headed up by Hilary Martin) have a number of high-profile projects in development. Gordon joins Euston Films from BBC Studios where he was Head of Production for UK Drama Series and Serials. Credits include Luther, Silent Witness, The Musketeers, Three Girls, War and Peace and Doctor Who. Gordon has wide ranging experience in drama production management both in the U.K and internationally.